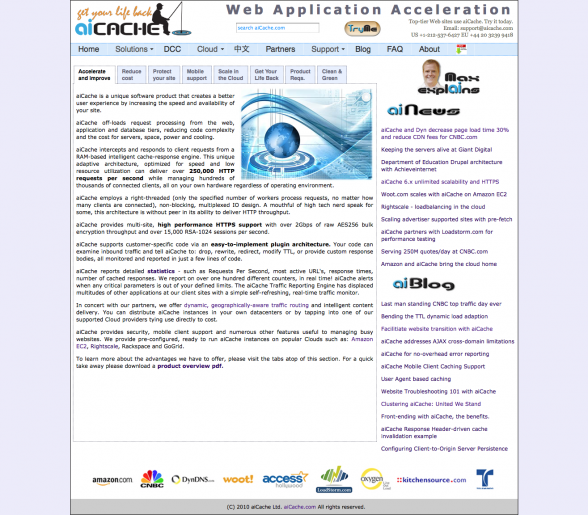 Aicache are a very successful software company and service clients of all sizes, from Juno Web Design to Amazon. aiCache’s unique software provides improved user experience by speeding up, and making websites more available. The current web presence does not communicate brand strength or that the product is quality, reducing visitor trust. Structurally the site is performing well and already has achieved its desired search rankings. Our job is to make key messages clearer and increase the percentage of site visitors who ring the phone number or use the contact form, to improve sales. We are aiming to make Aicahce a product of desire and brand to suit, it is working well for us to speed up our high value Magento sites.